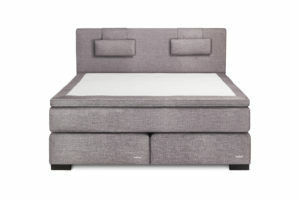 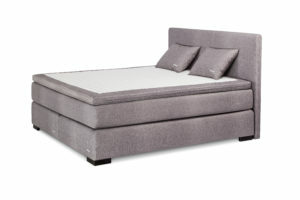 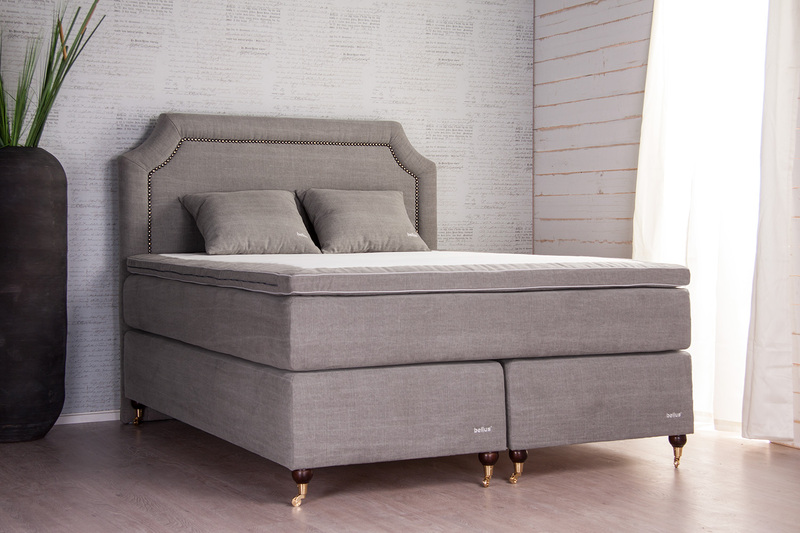 Continental Queen bed takes your sleep and well-being to a new level. 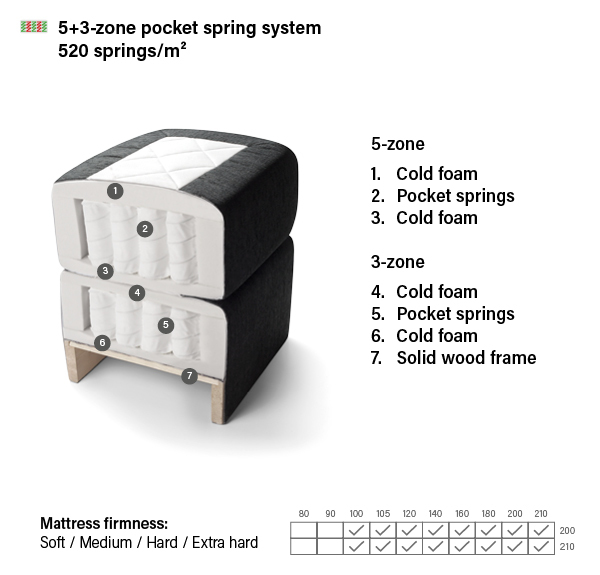 The 5-zone pocket spring mattress follows the contours of your body and allows for great weight distribution. The base mattress with 3-zone pocket springs adds comfort. It does not matter how often you turn in your sleep, you always get the proper support that your body needs.